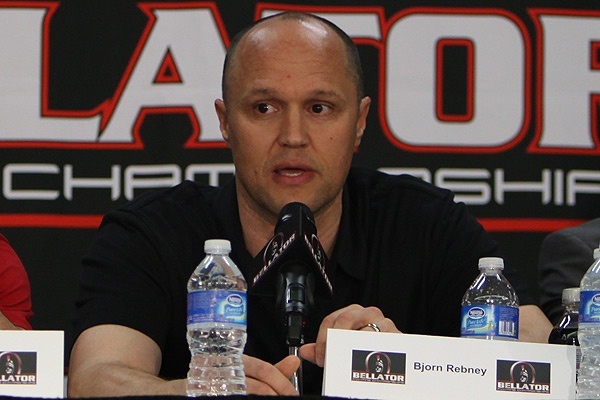 It has been nearly one year since the MMA world has seen or heard from former Bellator MMA founder, chairman and CEO, as well as company president, Bjorn Rebney. On June 18, 2014, it was announced by Viacom, the parent company of the organization that Rebney has parted ways with the company. “It is with bittersweet emotions that I announce that I am leaving the company I founded,” Rebney stated in a release. 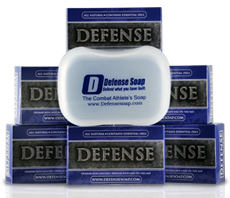 “I have great pride in having turned my vision into reality, a thriving business with television distribution to over 140 countries around the world, a partnership with one of the world’s largest entertainment giants and wide array of sponsors, partners and strategic allies all over the globe. 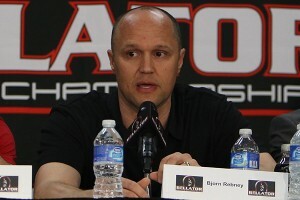 Rebney, a former boxing executive, launched Bellator (then known as Bellator Fighting Championships but later rebranded as Bellator MMA) in April 2009. While initially focused on Latin talent, the organization soon expanded its roster to include worldwide talent while promoting its tournament-based format. Following a series of mergers, acquisitions and bankruptcies from other fight promotions around the globe, Bellator became the de facto No. 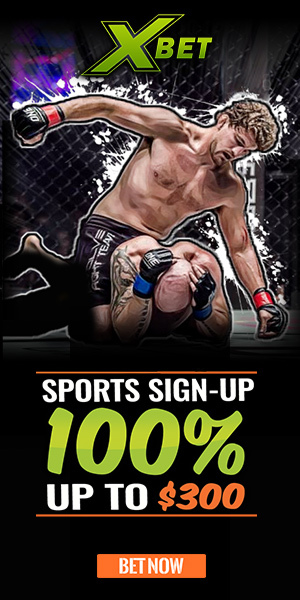 2 MMA organization behind the industry-leading UFC. 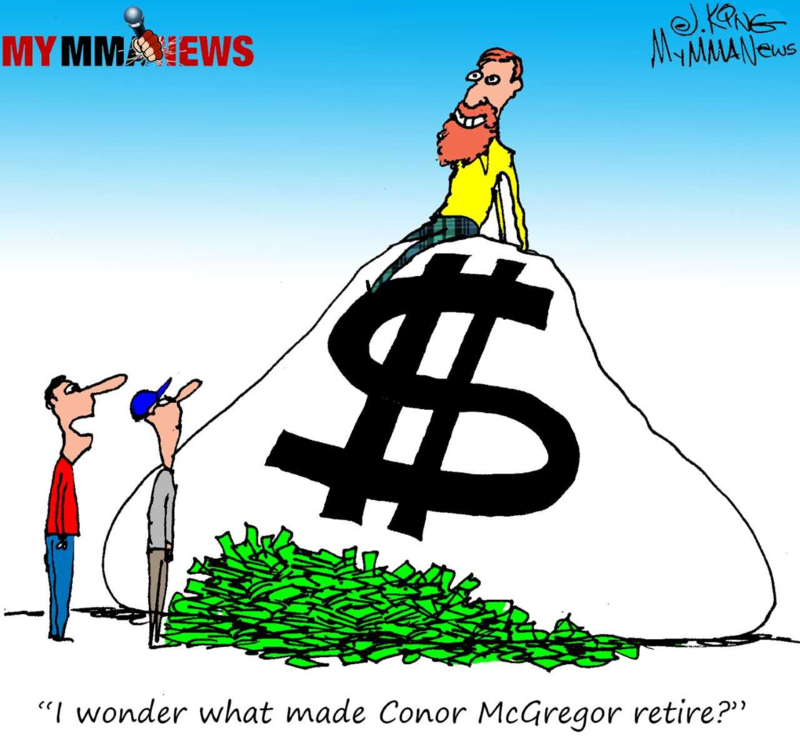 On June 29, Rebney who had a pretty significant social media presence while leading the company and even had been involved in some Twitter feuds with UFC President Dana White, sent his final cryptic tweet. Since then almost no one in the company he once led has seen or heard from him, and not a single tweet has been sent. 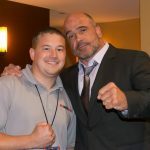 Several months ago the new man in charge at Bellator MMA, former Strickeforce CEO, Scott Coker, opened up the floor for questions via social media. 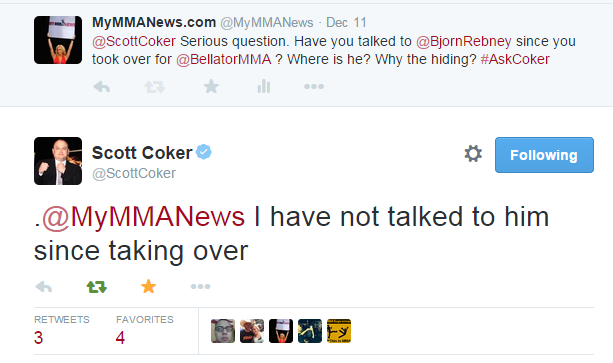 MyMMANews.com asked Coker if he has seen or talked to Rebney since taking over. 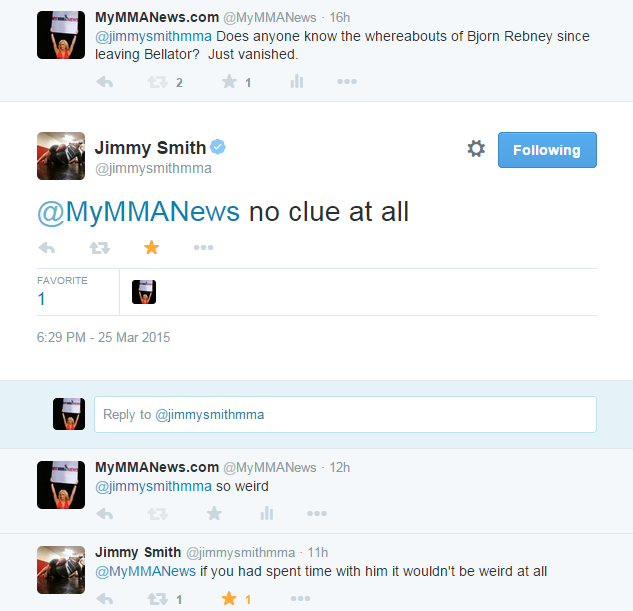 Bellator MMA color commentator Jimmy Smith had a similar response when asked of Rebney’s whereabouts. Tito Ortiz was one of several fighters who said that he was all for seeing Rebney go. 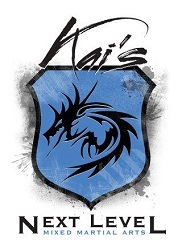 “We just disagreed on the direction,” Kay said. “I was done with doing tournaments. I just had saw it for long enough. It wasn’t working, and he was committed to it, so that was that. So where is Bjorn Rebney? We’d like to know. Bjorn if you read this, let the MMA world know you are alive and well. Download your Where’s Bjorn poster by clicking here and use the hashtag #WheresBjorn on Twitter and Instagram. A man that worked really hard for the organization may have simply taken time off to collect his thoughts and absorb the sun. Enjoy Mexico! 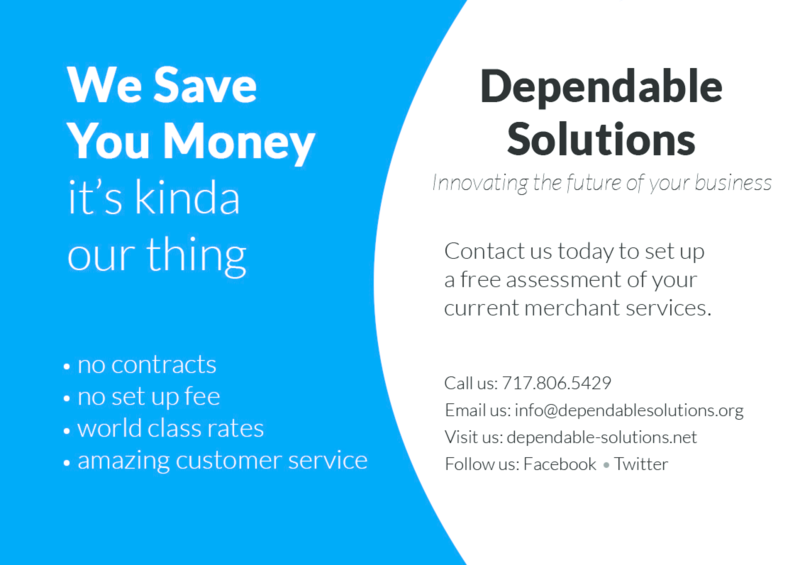 Hope to hear from you in the media again if you feel compelled to come back.